We were asking questions Henrik Wann Jensen and Thomas Teger from Luxion the makers of KeyShot. KeyShot features the only rendering engine that is certified by the CIE (International Commission on Illumination). Using scientifically accurate materials and real world lighting, KeyShot delivers the most accurate images in a matter of seconds. We would like to thank Henrik Wann Jensen and Thomas Teger for taking time to answer our questions. At the bottom of this interview you can find a gallery where you can see the power of KeyShot outputs and also a preview of the new version (not released yet) KeyShot 3. Q: You are a professor at the Computer Graphics Laboratory at University of California, San Diego. Did you always want to work in research? A: I did not plan out to work in research. I have always been excited about computer graphics and my PhD was really a way for me to keep working on a topic that I was very interested in. After my PhD, I went into industry, where I continued working on industrial global illumination, but after a couple of years I wanted to return to research at a university to work on some of the more difficult problems that I saw in global illumination and material appearance. I feel very lucky to work on research in computer graphics. It allows me to combine a passion for photography with all the physics and math that I have learned through the years. I am very curious by nature and I like problem solving, so research is a natural fit for me. Q: How is your day spent and what exactly does it mean for someone to work in this kind of research? A: I spend a good amount of time reading papers and likewise writing down ideas while working on problems. I meet with students to discuss research problems and I meet with my colleagues in Luxion to discuss how we can improve KeyShot further. I also do a lot of biking and swimming to clear my mind. I actually get most of my ideas when I am out on a long bike trip. Q: What was your biggest success or award you got in your life? A: I was fortunate to win an Academy Award for Technical Achievement in the work I did on subsurface scattering, which was used initially on Gollum in Lord of the Rings, and today is pretty much a standard in any movie with computer graphics effects. Q: It is hard to become successful in this kind of field? A: It does require a lot of work and a good amount of stamina. Computer graphics is great fun, but it does require a lot of math and physics to solve most of the problems in the field. Fortunately, passion goes a long way. Q: When you take into account the present technologies and renderers on the market, do you think there is place for improvement? A: There is significant room for improvement. 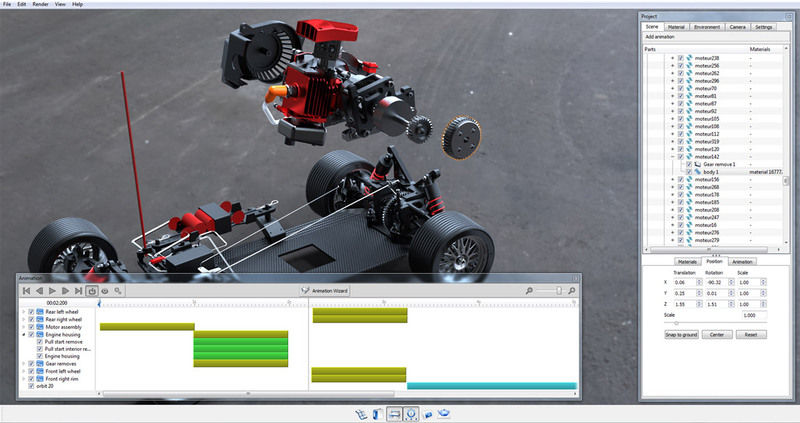 Different users have different needs for rendering engines. The movie industry needs full control of all the parameters and they often rely on in-house tools for a significant part of the artistic effects. Most users need rendering to present their 3D model, and this is where a program like KeyShot is useful, since it removes all the complexity of standard rendering engines and makes it easy to produces 3d images in a short amount of time. We have worked hard to make a simple interface without all the various knobs that classic rendering systems tend to have. Q: Many users use MentalRay or V-Ray as their render engines. Can you advise us on one of these or another one? It is possible to work with only one renderer? A: It all depends what you are trying to do and what your job is. 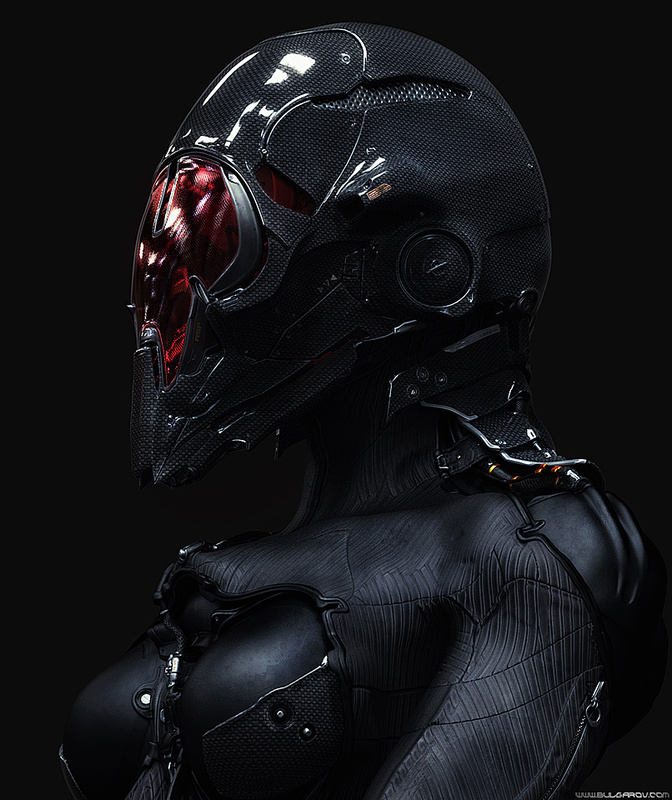 For most of our users, KeyShot is the only renderer they are using and they need to use. If you are a person that creates images for a living, then you may use various rendering tools. It’s like a photographer who uses different cameras. Q: Between Luxion`s strategic partnerships belong company “giants” like Intel, AMD or Autodesk. How does a company which is on the market “only” 8 years get these kinds of partners? 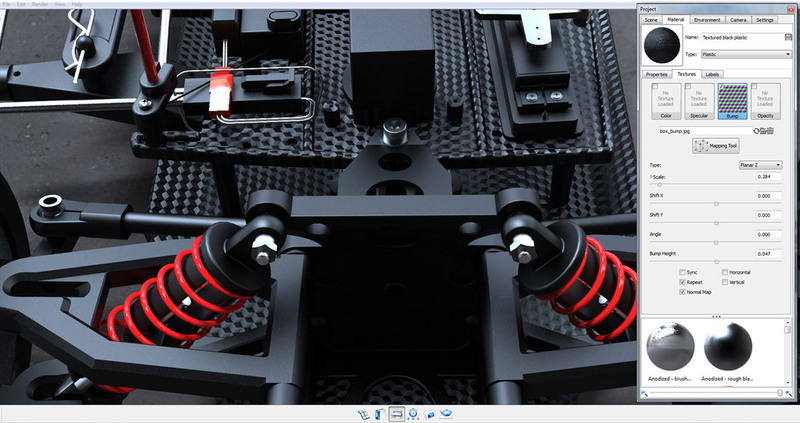 A: With KeyShot we have been fortunate to introduce a piece of technology that has been getting a lot of attention in the CAD world and among industrial designers. Today, we have partnerships with most of the major players in the CAD world. : PTC, Siemens, SolidWorks, McNeel (makers of Rhino), and others. Furthermore, Intel and AMD have an interest in KeyShot, since it uses the CPU heavily and does not require any special graphics card. Q: How does this partner cooperation work? A: Since we are development partners we have direct access to their engineering team. This makes import and plugin development much easier. We also exhibit at their user conferences, reseller conferences, and are promoted through their marketing team so we are getting great exposure in their install base. In one particular case, we had a major player in the industry - PTC - ask us to participate in a launch event for their new CAD application to be one of a handful of partners that were elected to highlight their integration with their all application. We were quite humbled. Q: KeyShot is an incredible piece of software. What unique technologies does it use? A: It uses interactive ray tracing combined with a unique global illumination algorithm that enables rendering of complex materials with full global illumination in realtime. Furthermore, it runs entirely on the CPU and it does not require a special graphics card. KeyShot works on both Windows and Mac, and it will work on pretty much any computer out of the box. Q: If you could compare KeyShot’s render ability with some render engine like MentalRay. What would be the biggest difference between them? A: KeyShot is faster and easier to use. It takes minutes to make and setup a rendering in KeyShot. In Mental Ray or V-Ray it often takes several hours. Q: KeyShot 3 is already announced to be released soon. Can you unveil the biggest change in the next version compared to Keyshot 2? A: KeyShot 3 adds animation capabilities to KeyShot. We have developed a new unique animation system that follows the easy to use paradigm of KeyShot itself. We no longer use key frames for animation and this makes it much faster and easier to make animations. 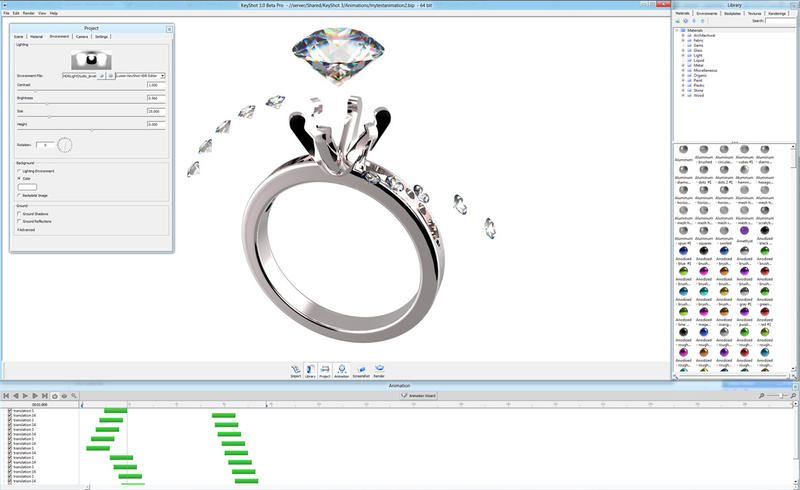 The animation system is particularly well suited for animating products: illustrating part movement, exploding views, and camera animations. Everything still happens inside KeyShot's realtime ray traced environment: setup, edit and playback. During setup, edit and playback of the animation the scene stays fully interactive, allowing users to interact with the camera, lighting and materials at any given time. Our current beta users are very excited. We hear that they are able to create and render animations in minutes. Most of them could not even animate before. Even expert users of Maya animation are happy with the new animation system, and we are very excited to release it soon. 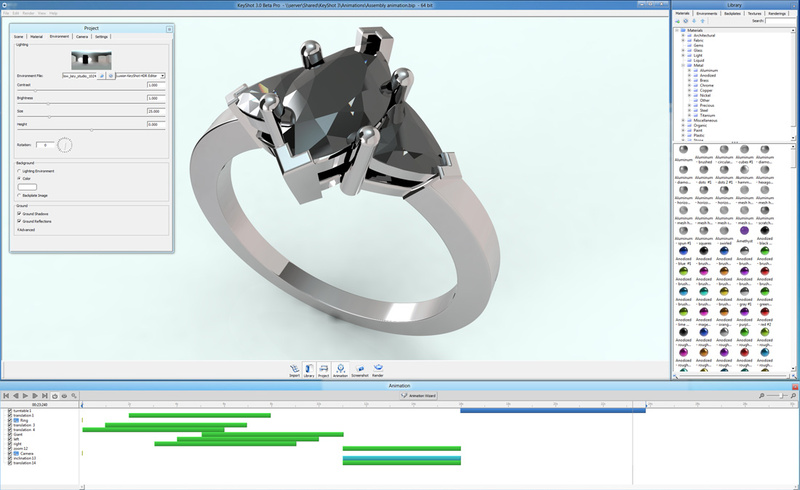 We are also adding support for new formats including SolidWorks on the MAC, Inventor, SolidEdge on the MAC. 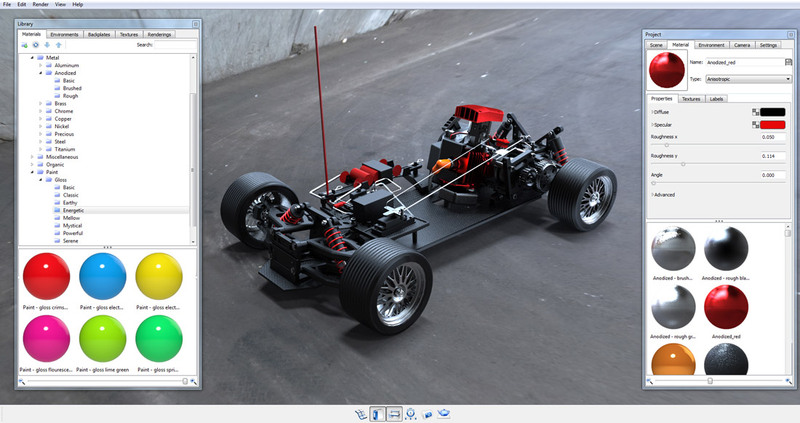 With KeyShot 3 we will be able to load almost any CAD format on both PCs and MACs. In addition we are refining the user interface and we have added a new library system with over 1200 new materials that makes it even faster and easier to render 3D models. Q: Can you unveil something from your current work? A: We have a server based version of KeyShot that makes it possible to show and interact with photorealistic 3D models on pretty much any device, including smartphones, such as the iPhone and tablets such as the iPad. In addition, we have some exciting new rendering algorithms and materials coming in future releases of KeyShot - we will be able to render something new that no existing renderer today is capable of. I cannot say much more right now except to keep your eyes out.